Galacticat - Updates Mondays and Fridays! 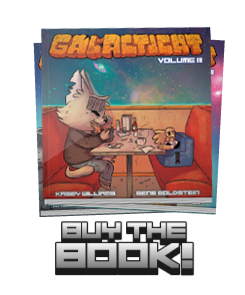 Gene and I are happy to announce that the third (and final) volume of Galacticat is available for purchase! Just click on the wonderful, colorful cover in the sidebar and you can check it out. Also, we’re going to be at Emerald City Comicon in Seattle this weekend (March 27th-29th)! We’ll have a bunch of awesome prints, books, original drawings, and we’re sharing a table with our good friend (and the colorist of all of the volume covers), Gabo. Come say hi! Thanks for sticking around and leaving your comments and just all around being excellent fans. I’m totally serious when I say that we could not have done it without all of your support. So, what now? 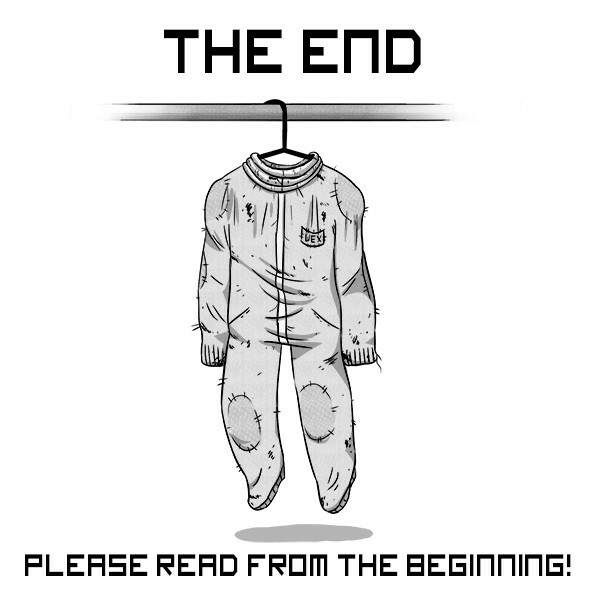 Well, Gene is still working on his totally amazing webcomic, Planet Panic, and I’m gonna start work on a long-form comic that I’ve been sitting on for a long while. We’ll still be going to a bunch of conventions, selling books (including Volume 3!) and shaking hands. I’ll still be posting on this website for updates on cons, books, etc, so please continue to keep an eye on us! Thanks again! !